300km, 6,400m ascent: what were they thinking?? "Daz" and "Bren" fancied a few days away from the rain and sleet of cold, dark, dull, damp and gloomy Pennine England for some Iberian Sun and dry cycling. What better than a ride to Cazorla and Back? Cazorla, nestled in a cleft of towering cliffs, like Helms Deep, it is protected by impenetrable fortresses and the great tower of La Yedra. The place holds a fascination for me. As a town, its probably nothing special, as a space it inspires me. 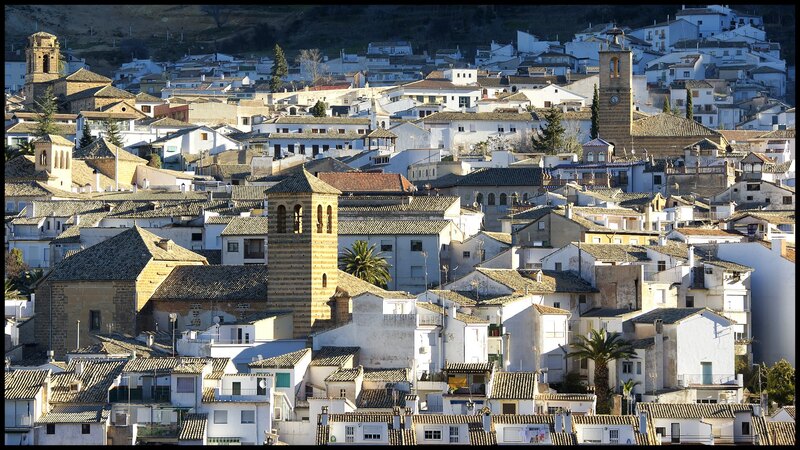 Steeped in history, from the first Iberian settlers, through Roman silver miners, Moorish Caliphates and crusading Christians, Cazorla epitomises the Iberian story. It serves as the main gateway to the mountain ranges that birth the Guadalquivir and Segura river systems and protects some of the most beautiful and remote places in Europe. Add to all that some of the best road and mountain cycling its possible to experience, and you have a perfect a cycling trip. The route from Los Tolmos to Cazorla, climbs over the labyrinthine peaks and troughs of the Rio Segura via Gontar then follows the river upstream for some 50k to reward you with the swooping alpine descent to Hornos. The climb is never over powering, but it is relentless, with short ramps and prolonged inclines: the landscape rewards with stunning views of the turquoise lake and the towering limestone cliffs that dominate the pass. The last few K of the climb were competed for kudos, and the victors spoiled with cold cans of Coke, fresh Oranges and home made cake before the exhilarating descent to Hornos, the incongruous snow poles at odds with the rich aromas of pine trees and the shimmering heat of the asphalt road surface. The options to get to Cazorla from the small cluster of bars and cafes at Tranco was either the tourist road that ran alongside the dam, or a massive detour through the Guadalquivir gorge to the plains of Andalucia and via Villacarrillo (the same route as Stage 14 of the 2007 Vuelta). However, I'd spied a squiggle that just yearned for exploration. This switchback laden line snaked up the walls of the gorge and tracked a tortuous contour line heading south along the western slopes of the Sierras de Cazorla. The prospects were good, and although we probably wouldn't make the full distance to Cazorla, we could explore this remote and rarely visited section of the park before bailing and packing into the Land Rover. The ascent was harsh, steep and narrow, with Olive trees crowning over the mulch ridden roads, and only a thin clean line to follow where the tractors had passed. But the views were stunning. Across the gorge to rugged vertical cliffs, and gravity defying olive groves. In and out of the saddle, watching your line so as not to lose traction, but constantly drawn to the panoramas around you and the vertigo inducing drops below. Rounding a high switchback revealed a "mirador", a viewing platform suspended over a 200m cliff. It goes against my instinct to stop on a climb, but the views were worth it. "El Tapadero" peered over the void and vultures ascended effortlessly on hot thermals, alas, the only thing that propelled me ever upwards was my tired legs and the hot air I knew was waiting for me if I took much longer to summit this climb. Topping out at 1200m, this is a great climb, if a little mucky, but only because its underused by traffic of any kind. After a brief respite we headed toward Cazorla, the road swooping and tumbling along the ridge like a gymnasts ribbon. The valleys and pine forests were deserted, not a single vehicle had passed us for well over an hour…we soon found out why. We rounded a fast descending sharp bend in the road, only to have to brake suddenly to avoid the hundreds of tonnes of mountain that had decided to park itself in our way. To our right, a deep gulley, to our left a vertical cliff wall, ahead stood some 20 meters of avalanche and boulders. We could of course carry our bikes across the barricade, but this would mean abandoning the Land Rover in support. We'd already done some 160k, ahead lay a possible 40k more. This was uncharted road in remote country. Aid was a long way away should anything happen. The alternative was to load the bikes and retrace our journey back to El Tranco and take the more conventional road to Cazorla. This meant a 100k detour. 40k on our own, tired, and with who knows what ahead? or quit and spend 2 hours sulking in the car? We decided that 160k of glorious riding was enough and that today we'd let nature have the upper hand. We packed, a little disappointed, and headed for some comfort food and liquid mood enhancers. Sunday morning dawned, and breakfast was the usual sparse plate of toast and crappy pastries. I'm still amazed how the Spanish break their fast with such little attention to quality or diet. Cazorla is great, but I've yet to find anywhere to have a hearty breakfast, or a quality one. The return route had been done before, several times. It takes in a gem of a climb and one that I think can match any in the Alps or Pyrenees. Hornos is, in my opinion, one of the worlds best climbs. (OK, I haven't done them all, but I'm working my way down the list of the top ones, and so far, Hornos is the winner). This would be the first time I've shared this climb with any cyclists and it felt like i was revealing a cherished and prized possession. Something that was deeply personal and as with all cherished possessions, we want others to recognise and acknowledge the beauty that we see; and yet if they said it was shite, too easy, too hard to be enjoyed, even worse, boring, I'd be gutted. I've waxed lyrical about Hornos elsewhere, suffice to say, I don't think anyone was disappointed, apart from me because Daz beat me to the top. As usual, Lucas waited at the summit with the Land Rover and had stocked up on some amazing cheese and Iberian ham, fresh "pan de hoy", honey and "chips ahoy" (true cycling ambrosia). Consuming calories is never more rewarding than after a massive expenditure of the them. The false top of Hornos leads on to a higher summit above Santiago de Espada, a much shallower climb, but demanding nonetheless. The landscape changes at this altitude to high tundra, grasses and meadows, and the heat and dense air of the valley changes to fresh alpine breezes and theres a sense of there being a few oxygen molecules missing in every lungful. Skirting along an altitude ceiling of 1600-1800m may not technically be hypoxic but the air feels "lighter", and it should, theres only 80% of the oxygen there is at sea level. This means it takes 4 minutes to boil a three minute egg! Our stopping point was the restaurant in the shadow of La Sagra. 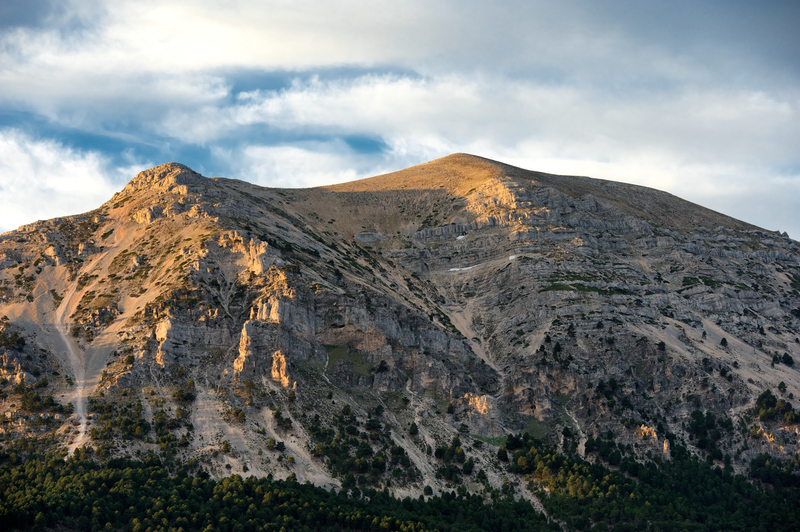 The 2300m peak on the borders of Andalucia and Murcia. This meant a deviation from the normal route that terminates in Puebla de Don Fadrique, and follows the road to Huescar. This road was much more relentless in its ascent than expected. Long stretches of straight road ascent, and the elevation just kept creeping up and up. The vistas opened up to reveal the peaks of the Sierra Nevada in the distance, the dome of La Sagra, and as we cusped 1800m it seemed only right that we stop at the last remnants of snow banks before the triumphal descent and the sumptuous dinner that awaited us. This was a truly great weekend of riding, full of stunning scenery, rewarding effort, excellent calories and great company.